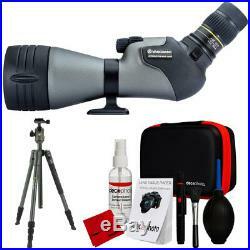 Vanguard Endeavor HD 82A Spotting Scope with VEO 2 204AB Tripod & Cleaning Kit. 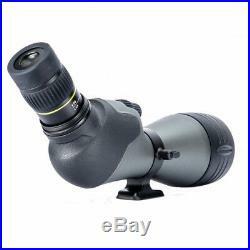 The angled view Endeavor HD 20-60x82 Spotting Scope combines a nitrogen-filled magnesium housing and a fully multicoated optical path to create a well-equipped zoom optic for intermediate to long-range observation. Endeavor HD series features an extra-low dispersion (ED) lens system and phase-corrected BaK4 prisms, which maximize light transmission and produce color faithful images that are rich with contrast. 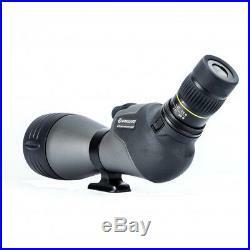 This version of the Endeavor HD spotting scope includes a 20-60x zoom eyepiece featuring a rubber zoom dial. A 1:3 zoom ratio and 2.1-1.0° angle of view complement the eyepiece's long 19mm eye relief and rubber eyecup, which help to provide additional viewing comfort for long-duration observations. In addition to the image quality and weather-sealed construction, the Endeavor HD includes several features that enhance the scope's functionality. A stacked dual-focus mechanism enables the observer to make fine and coarse focus adjustments. The tripod mounting foot has a standard 1/4 socket and is compatible with Vanguard tripods that accept the universal mounting shoe. 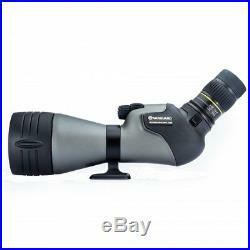 An integrated sunshade and included custom fit raincoat carrying case help to make the Endeavor HD a full-featured spotting scope for outdoor use. Extra-low dispersion glass elements, BaK4 prisms. 2.1-1.0° angle of view. 19.7 ft close focus distance (at 20x). 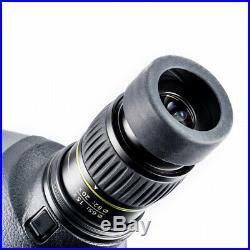 Angled view eyepiece is inclined 45° from the objective lens. Separate coarse / fine focus controls. Nitrogen-filled fogproof / waterproof housing. Magnesium body with textured rubber armor. Dimensions (L x W): 380 x 180 mm. Field of View 1000m: 110 52. Field of View 1000 YDS: 110 52. Lens coating: Fully multi coated. Relative Brightness: 16.81.8. Twilight Factor: 40.470.1. View Angle: 2.1 1.0. VEO 2 204AB Aluminum Travel Tripod with Ball Head. Composing photographs of unique architecture from different civilizations, capturing unexpected moments of wildlife, beautiful scenes of cultures and people from around the world, browsing different sites and taking in the various beauties of nature are unique opportunities to share your stories and emotions. Take it everywhere with you! Set it up in matter of seconds, use the advanced engineering legs and twist lock systems with confidence while enjoying versatile creative positions. The VEO 2 204AB Black tripod has been built to be your "best passport" for travel photography. With a snap of the fingers, swing the VEO 2 central column into place, connect your camera and you're ready to shoot at a moment's notice. The VEO 2 BH-45 ball head is sturdy and operates perfectly thanks to a large ergonomic knob. The Arca type compatible plate with 1/4 D-ring offers quick camera attachment and release. The 4 section aluminum legs come with a rapid advanced twist lock system that is ergonomically designed to be extended with one hand, and to lock in at less than 10 seconds. The low angle adaptor and the 3 leg angles at 20 degrees, 45 degrees and 80 degrees ensure the perfect position and stability on uneven terrain, and enables you to take more creative pictures from different angles. With angle designed rubber feet, VEO 2 grants you the perfect grip on ground. The dedicated suspension loop on the canopy accommodates counterbalance weights or bags for additional stability. A stylish design with soft rubber handle provides an unbeatable grip. Use the included carrying tripod bag with shoulder strap when you're ready to go to your next photo adventure. Intuitive and simple to set the tripod into desired position: Exclusive and innovative central column system that allows you to set the central column and tripod legs in less than 15 seconds. 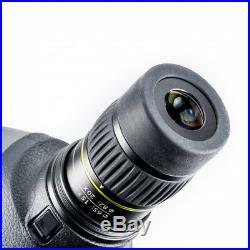 Sturdy ball head with large ergonomic knob safely provides up to an 8.8 pound work load performance for quality images. Highly engineered leg tubes for smooth and precise leg extensions and Independent leg positioning at 3 different angles (20 degrees, 45 degrees, 80 degrees) for more versatility and possibilities to adapt to uneven terrain enabling you to shoot more. Dedicated suspension loop on canopy to accommodate counterbalance weights or bags for additional stability and Non-slip, all-weather TPU grips on 1 leg for the perfect hand grip. Tripod Specifications: 20 mm, 4 section aluminum legs. 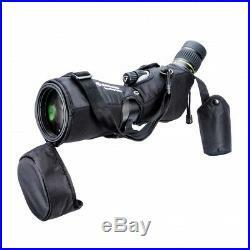 All in One Cleaning Kit for DSLR Cameras w/ Carry Case. Deco Photo's All in One Cleaning Kit is perfect for cleaning your DSLR camera as well as Telescopes, Spotting Scopes, Eyeglasses, View Finders and more. Inside the stylish carrying case you'll find Lens/Sensor cleaning solution, a book of lens tissue paper, a dual sided pen with a brush and carbon cap, large bristel brush and an air blower to blow away hard to reach dust and build-up. 6 x 6 inch Microfiber Cleaning Cloth. High-quality microfiber material absorbs and removes dust, fingerprints, dirt, oil smudges, and more. Size: 6 x 6 inches (15cm x 15cm). Backed by Deco Gear's 90-day 100% Satisfaction Guarantee. 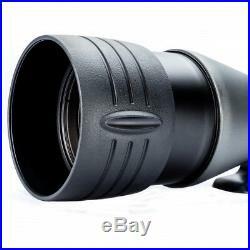 Vanguard Endeavor HD 82A Spotting Scope.. Vanguard Endeavor HD 82A Spotting Scope (3 pieces). MFG Part#: Endeavor HD 82A. 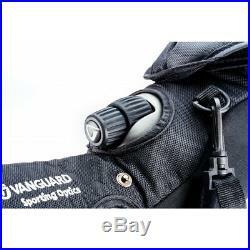 Vanguard VEO 2 204AB Aluminum Travel Tr.. Vanguard VEO 2 204AB Aluminum Travel Tripod with Ball Head. MFG Part#: VEO 2 204AB. Deco Photo All-in-One Cleaning Kit for DS.. Deco Photo All-in-One Cleaning Kit for DSLR Cameras w/ Carry Case. Camera & Sensor Cleaning Solution. Lens Brush & Sensor Brush. Deco Gear 6 x 6 inch Microfiber Cleaning.. Deco Gear 6 x 6 inch Microfiber Cleaning Cloth. Includes: One (1) 6x6 inch Microfiber ClothBacked by Deco Gear's 90-day 100% Satisfaction Guarantee. Please note that - depending on your geographic location - not all methods are available. Make sure to select the appropriate method. APO / FPO Military Addresses. Sellers are not responsible for service transit time. This information is provided by the carrier and excludes weekends and holidays. Note that transit times may vary, particularly during peak periods. How Long Does It Generally Take To Process An Order? Please allow additional processing time after Holidays. Returning Items If you do not have the return form, we will provide it together with your RA number. Please fill in the requested information on our product return form, and carefully follow the instructions for return. Battery, charger, cords, straps, etc. The RA number or any other inscriptions must not be written or printed on the product box or packaging. We will not process the return if any of these conditions are not followed. Retuned merchandise that is lost or damaged during transit is solely the shipper's responsibility. Damages: Were here to help! Cracked screen, scratches, dents, etc. Consumables, including but not limited to, recordable media, film, tapes, batteries, paper, and ink. Please note only Dead on Arrival units out of the box will be returnable to us (with a valid case number). For these situations, the Return Authorization would need to be handled directly between the customer & DJI. Opened packages of Apparel, Bedding or Linens. 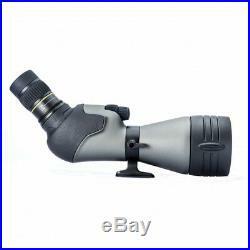 The item "Vanguard Endeavor HD 82A Spotting Scope with VEO 2 204AB Tripod & Cleaning Kit" is in sale since Tuesday, February 5, 2019. 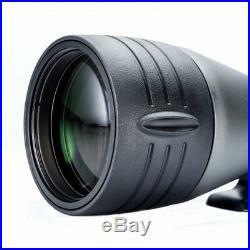 This item is in the category "Sporting Goods\Hunting\Scopes, Optics & Lasers\Spotting Scopes". The seller is "buydig" and is located in Edison, New Jersey. This item can be shipped to United States, Canada, United Kingdom, Denmark, Romania, Slovakia, Bulgaria, Czech republic, Finland, Hungary, Latvia, Lithuania, Malta, Estonia, Australia, Greece, Portugal, Cyprus, Slovenia, Japan, China, Sweden, South Korea, Indonesia, Taiwan, South africa, Thailand, Belgium, France, Hong Kong, Ireland, Netherlands, Poland, Spain, Italy, Germany, Austria, Bahamas, Israel, Mexico, New Zealand, Philippines, Singapore, Switzerland, Norway, Saudi arabia, Ukraine, United arab emirates, Qatar, Kuwait, Bahrain, Croatia, Malaysia, Chile, Colombia, Costa rica, Panama, Trinidad and tobago, Guatemala, Honduras, Jamaica, Grenada, Bangladesh, Iceland, Monaco, Oman, Peru, Paraguay, Viet nam, Uruguay.